Dow Chemical is not just some company in Midland, Michigan. It’s part of life there. I talked with plenty of people who’ve sided with Dow over the dioxin pollution issue. One works right across the street from the chemical plant. Bob McKellar says Dow’s been good for Midland, and, as far as he’s concerned, the federal government’s been trashing the town. McKellar says, getting things done right means the government should pay for a big hunk of any dioxin cleanup. It’s only fair – because he thinks pollution in the river and soil is overblown, and the EPA’s the one overblowing it. Downstream, fewer people work at the Dow plant. They see less benefit, but they live with more dioxin pollution. I’m with Mitch Larson. 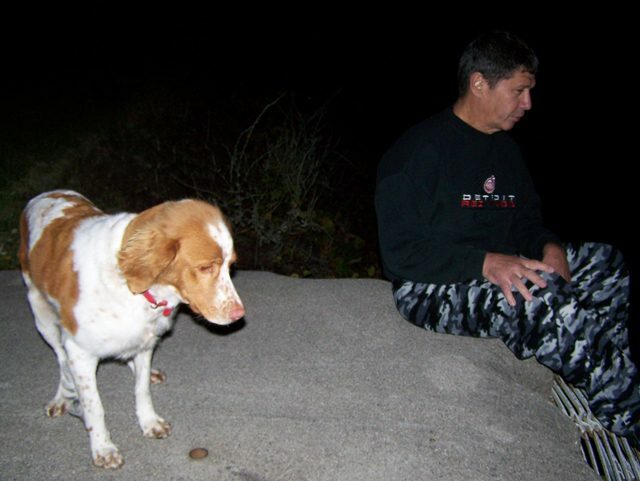 He lives 20 miles downstream from Midland. His home’s in a woodsy part of Saginaw. The Tittabawassee River floods, and it left silt and traces of dioxin on Larson’s yard, but he didn’t know that until the state government tested his soil and found the dioxin. They even tested his pet chickens and the eggs he fed his kids. He got rid of the chickens, of course, but he had to have a talk with his teenage girls. A report said the dioxin put them at risk for having kids with birth defects. Larson and one hundred seventy two other plaintiffs sued Dow to pay for follow-up medical monitoring. 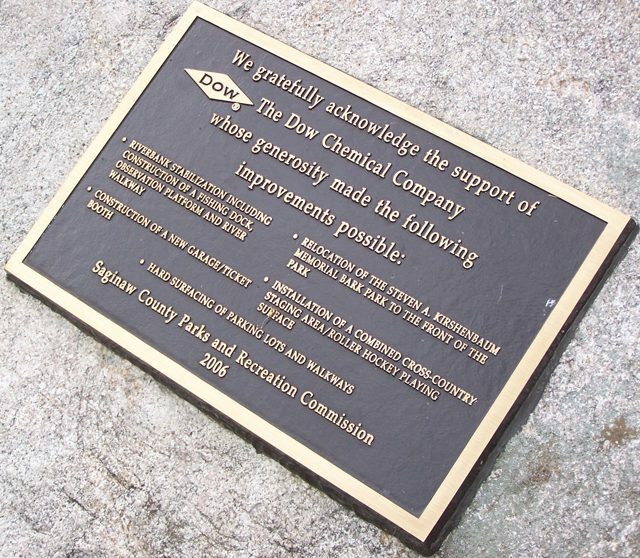 Six years after dioxin was first found on the property, Dow chemical paid to clean and re-sod Larson’s lawn. He says it looks great, but he worries another flood’s gonna leave behind dioxin. Right now, Dow and the EPA are negotiating an agreement that might make Dow clean up river sediment. Larson says he’d welcome that future – even if it cost Dow a lot of money.